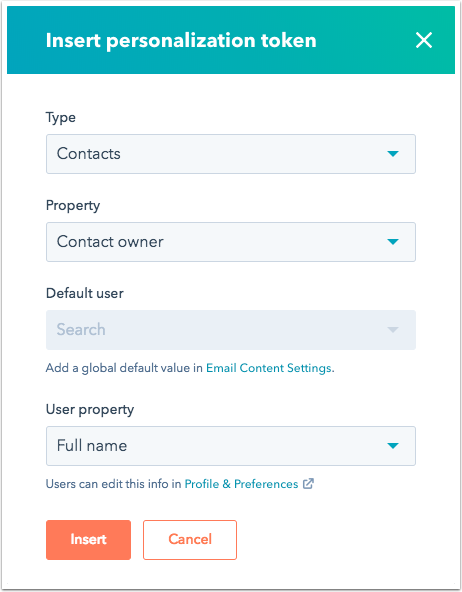 Using the Contact owner property, you may use personalization tokens in your marketing emails to make the from name and from address appear as having been sent from specific owner. Click the name of an existing email draft or click Create email at the upper right. Locate the Email details section at the top of the email editor and click Edit details. Click Add/Manage next to the From name dropdown menu. 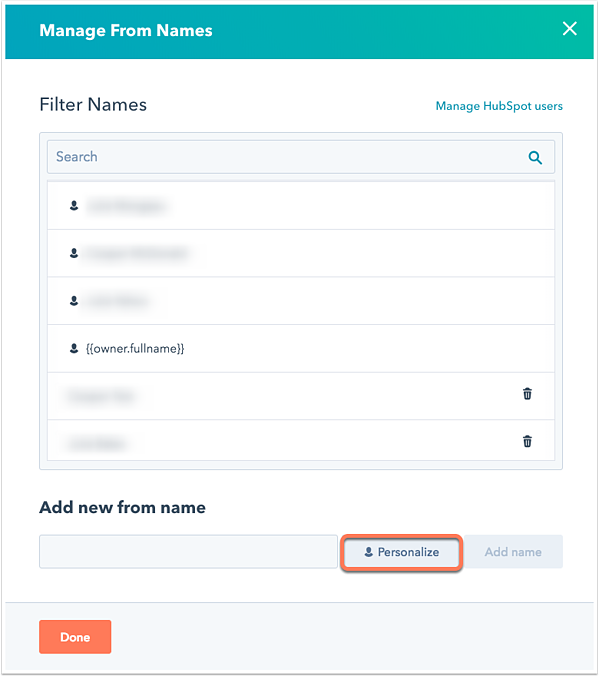 In the Manage From Names pane, click Personalize. In the dialog box, click the Type dropdown menu and select Contacts. Then click the Property dropdown menu and select Contact owner. 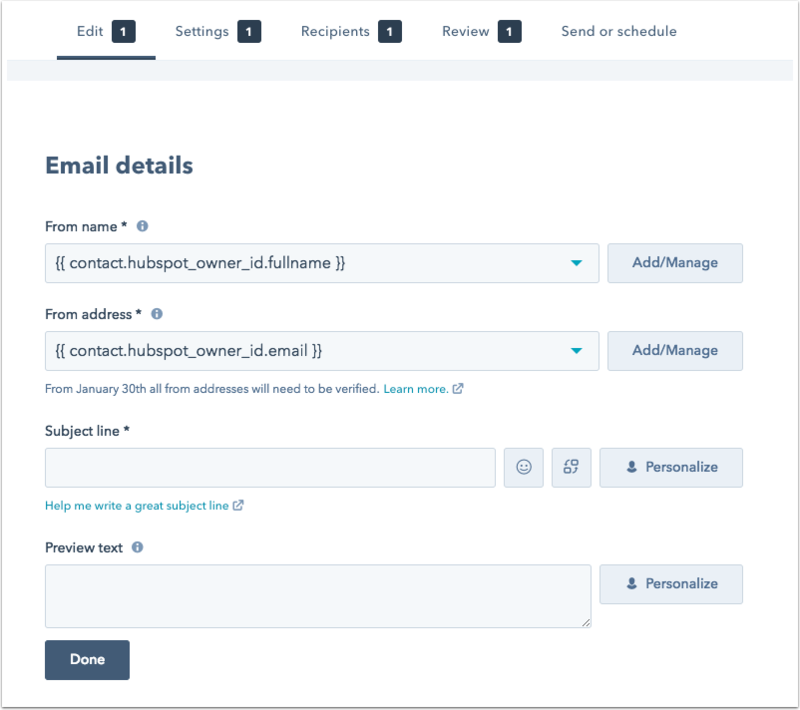 The Default user is set in your email content settings, and will be the value displayed if the contact who receives the email does not have an owner set in HubSpot. Click the User property dropdown menu and select Full Name. In the Manage From Names pane on the right, click Done. Repeat the steps above to add the owner email token as the from address. When you configure the default user in your email content settings, you will need to input a real email address as the default value if you want to receive actual replies. If you want to send your emails from someone other than the contact owner, you can use these same steps using custom contact properties.